Please click here to view our entry on the performance tables (opens in a new tab or window). 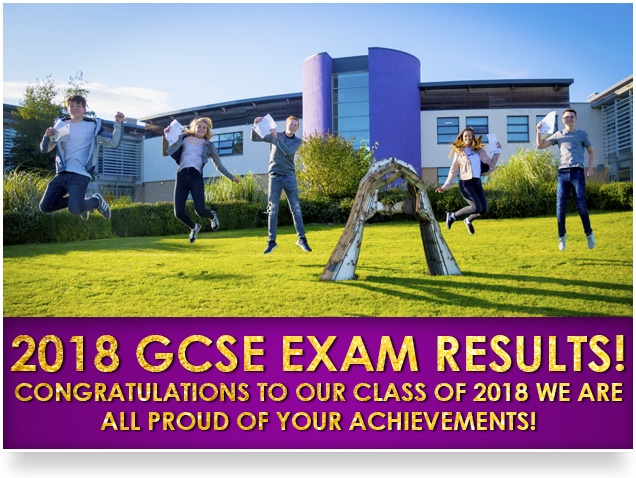 I would like to say well done to the class of 2018 for all of the hard work and preparation which they put in for their GCSE exams. Of course, we could not do this without the support of our parents throughout the 5 year journey. I would also like to thank our staff who have extremely high expectations of our pupils, and who take great pride in their achievements. I am pleased to be able to say that all of our pupils have been able to move on to appropriate courses and apprenticeships, and I am looking forward to hearing about their continued success as they take their place in our society.